Providing you the best range of chemical effluent treatment plant with effective & timely delivery. As the company strongly believes in R & D and quality assurance, we help in manufacturing and exporting a huge assortment of Effluent Treatment Plant that are compact in design and are so made to offer high efficiency at the user end, economically extremely affordable and durable for longer period of time. They are sturdy, vibration less & having higher impact. Ball Mill: It is nothing but another equipment to help to control the losses of such noble elements & re-cycle. Ball Mill will help to crush & grind the used graphite crucibles to make it powdery & feasible to recover the trapped noble metal particles from it by refining them. It is also a tiny and economical operation. 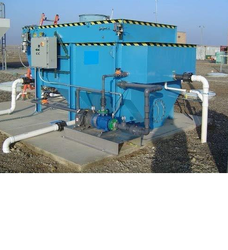 Looking for Chemical Effluent Treatment Plant ?